Casting Call Club : Idol Games~⭐️! Casting Call for Idol Games~⭐️! ⭐️Story is still being developed, but it includes the life of a group of new idol girls living together in a competitive academy setting. ⭐️Currently searching for talented voice actors who can sing and are comfortable with alternative/ scripted languages for the purposes of this animation. --Characters will be added as their content is finished. ⭐️⭐️ Will need a Skype- or something (can be negotiated) for contacting and reviewing with voiceactors/singers. ⭐️Lines/ Script is mostly in English, but a majority of the songs will have Japanese lyrics. 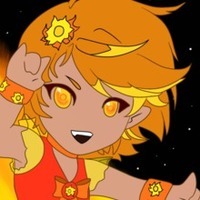 Dawn is the Sun themed idol and the younger sister of Pyri, the fire-themed idol. She's the rival lead singer in this particular idol group and is an aggressive competitor. She's active and out-going, and always ready to physically defend her group against rival groups. Her voice is strong, both in and out of song, giving her a very commanding presence. In her share of the chores, Dawn covers a lot of cleaning because she thinks it helps her keep in shape and make her stronger. She is all about the healthy choices in what she eats and remaining active throughout her day. "Ai! Ai! Ai! 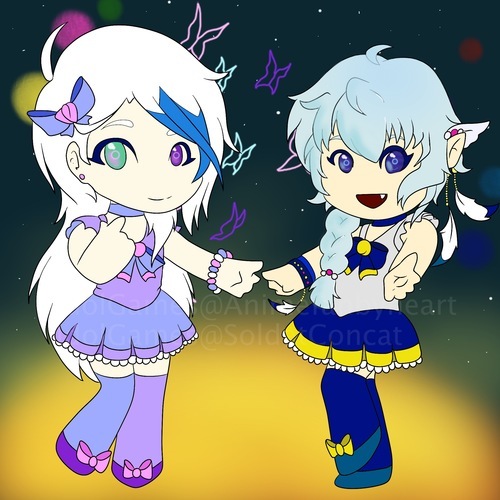 Aidoru Dawn!" Dawn "You guys are a bunch of wimps." Dawn "The next one of you to take a break owes me a sandwich!" Dawn "This was the saddest practice I've ever participated in.."
Dawn "Goodbye, you big babies! Get good!" 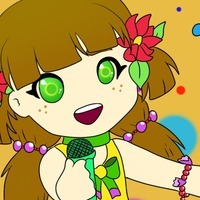 Lulu is a Wildflower themed Idol. She has a soft voice, but a big, eager heart, and a bigger singing voice. She sometimes refers to herself in the third person. In her group, Lulu is mainly a backup singer, which does not do her voice any justice. She has a powerful voice, but loves being a supporting friend. However, she does land big solos in occasional songs which make her an important member to the group. Off-stage, Lulu loves sweets and loves to make sweets for others. Because the idols live at the academy, they split the chores and Lulu enjoys picking up the breakfast part of the work, preparing and cleaning so everyone's morning starts out great. "Ai! Ai! Ai! Aidoru Lulu!" Lulu "Welcome to our home! Let me give you the tour!" 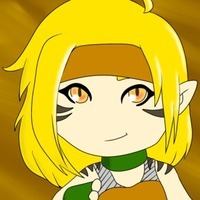 Atma "That's alright, Lulu. I know where-"
Lulu "Over here we have the kitchen! This is where Lulu will fix everyone a BIG breakfast every morning!" Lulu "You're going to love Lulu's pancakes!" Kaori is an extra that rarely appears. She is a close friend to the character Atma, and will lend support. She's incredibly strong willed, and confident. Though her skills are more physical than musical, she still has a powerful sense of grace about her when she enters a room. Her voice is mature, calm, confident. Kaori "When you can't run, you crawl, and when you can't crawl.. you have somebody carry you." Kaori "This is where we part ways. Gambatte." Kaori dressed as a nun, answering the door.